Tired of matzoh, but not sure what to make for breakfast on Pesach? Try these kosher for Passover Pancakes. The recipe comes together quickly, and the batter is easy to work with. Tapioca starch imparts a pleasant chewiness to the pancakes, but if you can't find it, feel free to substitute potato starch. They are particularly delicious served with pure maple syrup, but if you don't have any on hand for the holiday, butter with jam or bananas and cinnamon sugar make nice toppings too. Preheat the oven to 200 F. Have an ovenproof serving platter or baking dish ready so you'll be able to keep the prepared pancakes warm in the oven. In a large bowl, whisk together the matzo cake meal, tapioca starch, sugar, and baking powder. Make a well in the center of the dry ingredients, and add the milk, eggs, melted butter, and vanilla. Whisk well until the ingredients are well-combined and the batter is smooth. Place a large skillet over medium-high heat. Grease the skillet and with a little oil or butter. Drop the batter by spoonfuls (about 2 to 3 tablespoons each) into the skillet Depending on the size of your skillet, you should be able to make 3 to 4 pancakes at a time. Allow the pancakes to cook for 1 to 2 minutes, or until the edges are set and you begin to see bubbles on the surface. Use a wide, thin spatula to carefully flip the pancakes, and continue cooking for 1 to 2 minutes more, or until golden brown on both sides. Transfer the cooked pancakes to the platter, tent with foil, and keep warm in the oven while you make the rest of the pancakes. Serve warm with jam, cinnamon and sugar, or pure maple syrup. You can also adapt this recipe to make sweet or savory Passover crepes. Just thin the batter with a little extra milk, so that it spreads in the pan more easily. (You may want to use a non-stick pan if you go the crepe route, and use a wide spatula to turn the thinner pancakes). 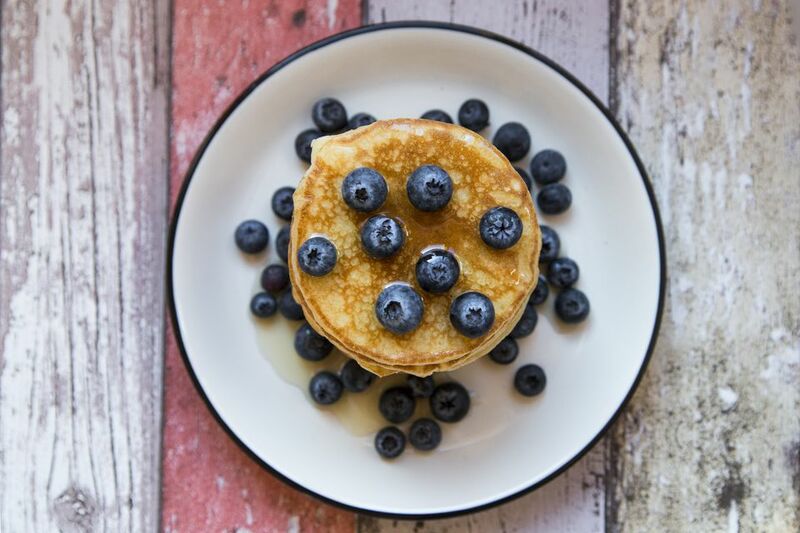 If you find these pancakes too chewy, or the flavor of the tapioca starch too prominent, try making the recipe with 3/4 cup cake meal, 1/4 cup tapioca starch, and 1 1/3 cups milk.